The Gordon Presidential Fellows Program offers exceptionally talented students the opportunity to develop their leadership potential through unique exposure to senior leaders, substantive work assignments, and horizon-broadening educational opportunities. Modeled on the highly competitive, highly effective White House Fellowship, the Presidential Fellows Program affords Gordon students the chance to work directly with one of the College’s Cabinet officers (known as the Fellow’s "Principal"), who mentors the student through a yearlong fellowship. Through their work assignments and special mentoring opportunities, the Fellows learn firsthand the process of leading a major institution. The Program aims to catalyze the leadership potential of a select group of students, equipping them to assume positions of major responsibility within ten to fifteen years of graduation. Gordon Presidential Fellows work approximately ten hours per week in the office of their Principal, advancing the College’s mission by assisting with an array of responsibilities. In addition to this substantive work placement, Gordon Presidential Fellows participate in a yearlong series of seminars and workshops led by President Lindsay.  The Fellows’ educational program will enhance their leadership development by exposing them to senior leaders visiting the Gordon College campus or located in the greater Boston area. Gordon Presidential Fellows are paid $11 per hour. Applicants must be full-time students and available to serve for the entire academic year.